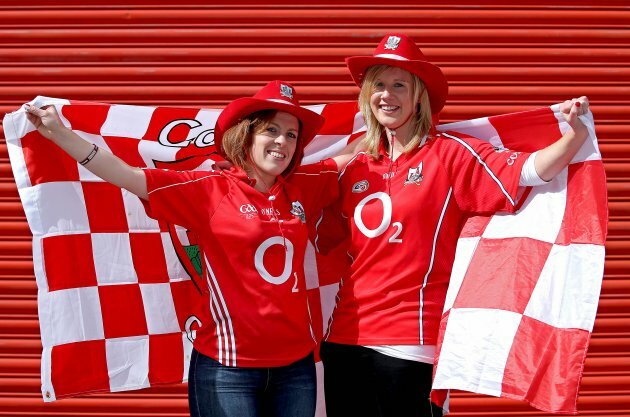 Which county would be celebrating in Croke Park this evening? Here’s how it all unfolded. Ron Kavana an Irish singer, songwriter, guitarist and band leader. Born in the County Cork town of Fermoy, the best thing to come out of Cork since the Boys of Kilmichael. 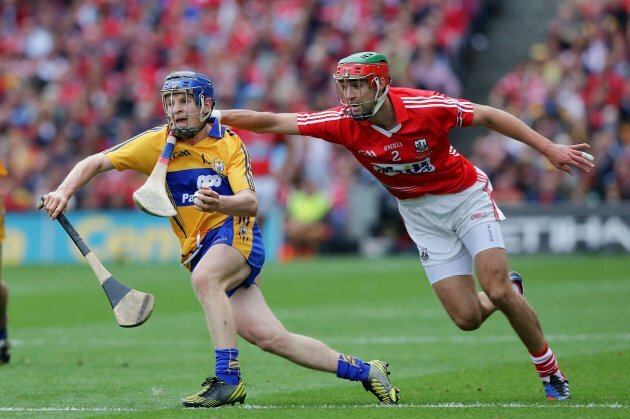 So after an amazing hurling summer, who would prevail in the final? 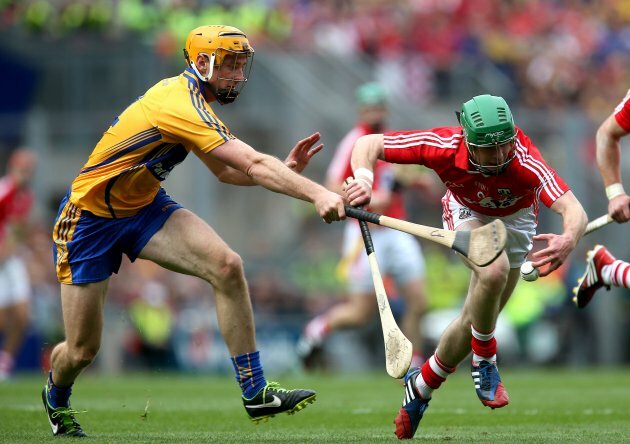 It was Cork against Clare in the battle to claim the Liam McCarthy Cup. As always, we’d love to hear your comments. Send them to fintan@thescore.ie, tweet them @TheScoreGAA, find us on Facebook, or leave a comment below. 15.02 – And now here comes the Cork side out onto the pitch. 14.23 – Welcome to Croke Park as we commence the build-up for the 2013 All-Ireland senior hurling final between Cork and Clare. 14.25 – The minor match between Galway and Waterford is entering the closing stages and you can follow the latest on that game here. 14.26 – It’s looking like Waterford’s day with attacker Patrick Curran just after finding the net to put his side seven points clear in the minor match. 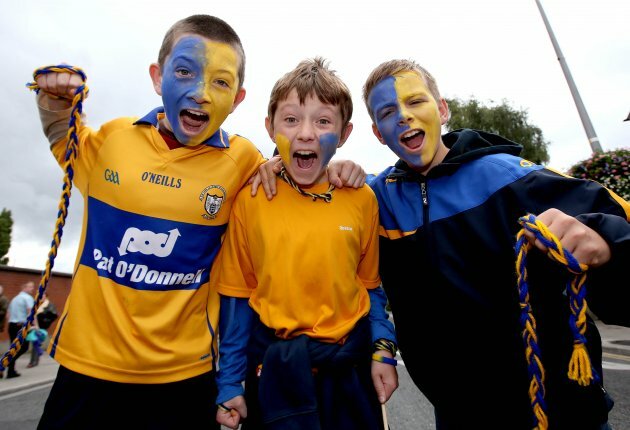 14.26 – The crowds are starting to stream in for the senior showdown at 3.30pm and the fans have been congregating around Croke Park from early today. 14.30 – The referee for today’s main game is Offaly’s Brian Gavin. The linesman and standby referee is Westmeath’s James McGrath while Johnny Ryan of Tipperary is the other linesman. Then we have James Owens of Wexford as the sideline official with the four umpires, all Offaly men, being Michael Gavin, David Gavin, William Flynn and PJ Lawlor. 14.32 – And Waterford have just been crowned All-Ireland senior minor hurling champions with a 1-21 to 0-16 win over Galway. Great scenes of celebration here amongst their players and supporters, they’ve endured plenty unhappy days at this venue before. Cork: Anthony Nash (Kanturk); Stephen Mc Donnell (Glen Rovers), Shane O’Neill (Bishopstown), Conor O’Sullivan (Sarsfields); Brian Murphy (Bride Rovers), Christopher Joyce (Na Piarsaigh), William Egan (Kilbrin); Lorcan McLoughlin (Kanturk), Daniel Kearney (Sarfields); Seamus Harnedy (St Ita’s), Pa Cronin (Bishopstown), Conor Lehane (Midleton); Luke O’Farrell (Midleton), Patrick Horgan (Glen Rovers), Jamie Coughlan (Newtownshandrum). Clare: Patrick Kelly (Inagh-Kilnamona); Domhnall O’Donovan (Clonlara), David McInerney (Tulla), Cian Dillon (Crusheen); Brendan Bugler (Whitegate), Patrick Donnellan (O’Callaghan Mills), Patrick O’Connor (Tubber); Colm Galvin (Clonlara), Conor Ryan (Cratloe); John Conlon (Clonlara), Tony Kelly (Ballyea), Colin Ryan (Newmarket-on-Fergus); Pádraic Collins (Cratloe), Darach Honan (Clonlara), Conor McGrath (Cratloe). 14.48 – Rumours that John Conlon would miss out due to a shoulder injury seem unfounded at the moment. We’ll let you know if there’s any updates on that. 14.49 – The ‘Hurling Stars of the 80′s’ are currently being introduced to the crowd in Croke Park. The team is made up of players who did not win an All-Ireland senior medal. 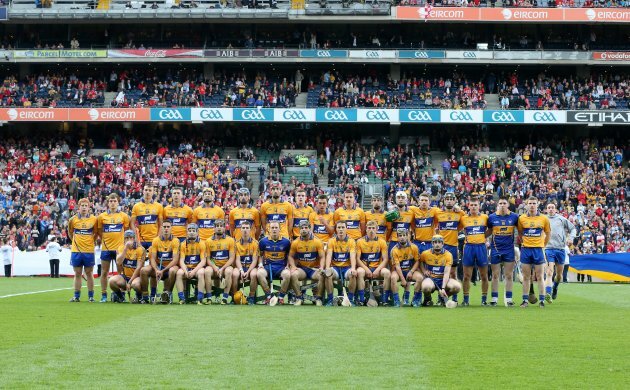 14.49 – Unsurprisingly the Clare players on the side received the biggest cheer, particularly one Ger Loughnane. 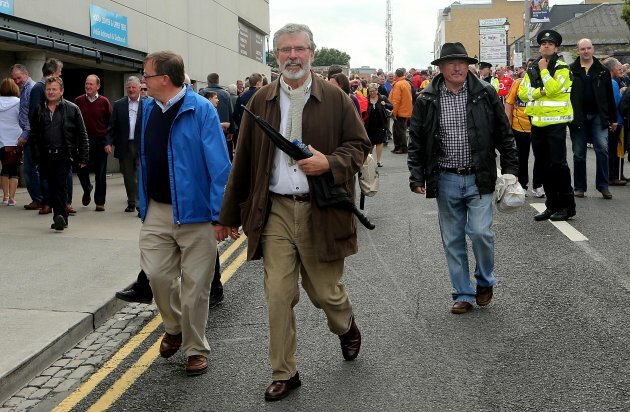 14.53 – Some well-known political faces outside Croke Park making their way in for today’s game. 14.55 – It being All-Ireland hurling final day, there is of course plenty pageantry to the occasion. A giant Cork flag is now being brought out in front of the David End with a giant Clare flag at the opposite end in front of Hill 16. 14.57 – Couple whispers of rumors floating around about the Clare team selection. Could U21 Peter Duggan be launched into the fray? It seems a possibility. 15.00 – Clare have just come out onto the field. The Banner roar that greeted them was predictably loud. Donal Tuohy (Crusheen), Conor Cooney (O’Callaghan Mills), Seadna Morey (Sixmilebridge), Liam Markham (Cratloe), Nicky O’Connell (Clonlara), Fergal Lynch (Clooney-Quin), Shane O’Donnell (Eire Og), Cathal McInerney (Cratloe), Peter Duggan (Clooney-Quin), Jonathan Clancy (Clarecastle), Paul Flanagan (Ballyea). 15.25 – Croke Park is in superb condition and the rain is staying off for the moment. We’re closing in on throw in. 15.05 – Huge ovation in Croke Park at the moment for World Champion Rob Heffernan, who is being introduced to the crowd. Darren McCarthy (Ballymartle), Killian Murphy (Erins Own), Mark Ellis (Millstreet), Tom Kenny (Grenagh), Stephen White (Ballygarvan), Rob O’Shea (Carrigaline), Cian McCarthy (Sarsfields), Cathal Naughton (Newtownshandrum), Stephen Moylan (Douglas), Michael O’Sullivan (Tracton), Michael Cussen (Sarsfields). 15.19 – Which manager will be celebrating today? 15.21 – Handshakes all round. The two teams are just shaking hands with each other on the red carpet moments after they all met President Michael D Higgins. 15.21 – Pre match parade time behind the Artane Boys Band. 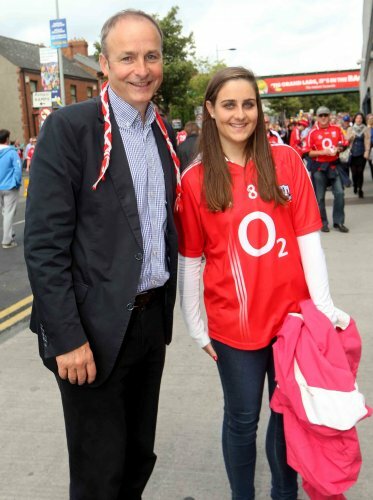 15.22 – Random fact alert – all of the Cork team have taken off their helmets for the parade. 15.23 – The atmosphere is pretty impressive here in Croke Park. The teams are walking by the Cusack Stand right now. 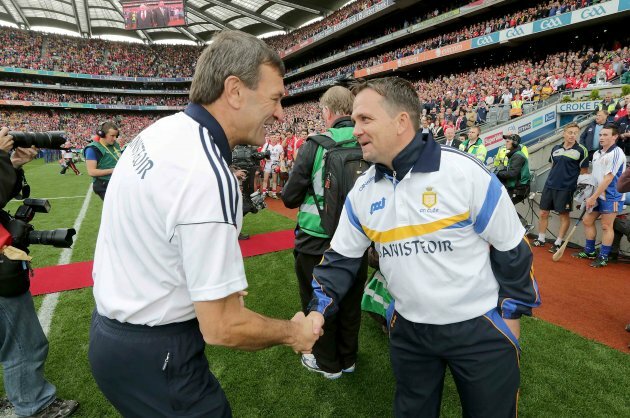 15.26 – Final call for predictions – Cork, Clare or the draw? 15.39 – Great defending by Shane O’Neill to dispossess Darach Honan and win a free. 15.27 – Time for the National Anthem. 15.30 – Right, let’s get set for this. 15.31 – Frantic start as players try to settle to the game. 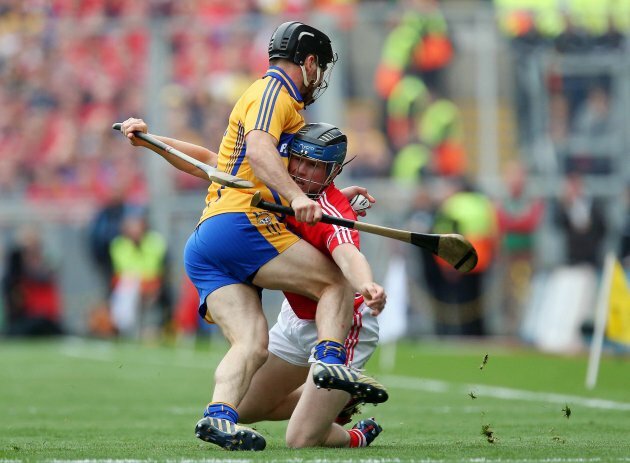 15.32 – Clare 0-1 Cork 0-0: 3 mins – Clare hit the front early through Darach Honan. 15.34 – Clare 0-2 Cork 0-0: 4 mins – Colin Ryan stretches their lead by pointing a free. 15.34 – Match up’s to note see Brian Murphy on Tony Kelly while Cian Dillon is on Patrick Horgan. 15.36 – Clare 0-2 Cork 0-1: 6 mins – Cork hit back through Seamus Harnedy, who has had a fine debut season. 15.37 – Clare 0-3 Cork 0-1: 7 mins – The man who was doubtful to start raises a white flag for Clare. Fine point by John Conlon. 15.37 – Clare 0-3 Cork 0-2: 7 mins – First placed ball of the day for Patrick Horgan and he converts it in style for Cork. 15.38 – Clare 0-4 Cork 0-2: 8 mins – First scoring chance of the day for Clare’s Tony Kelly. He seizes it too as he skips onto a loose ball. 15.40 – Clare 0-4 Cork 0-3: 10 mins – Cork fight back as Luke O’Farrell is fouled and Patrick Horgan clips over a 20-yard free. 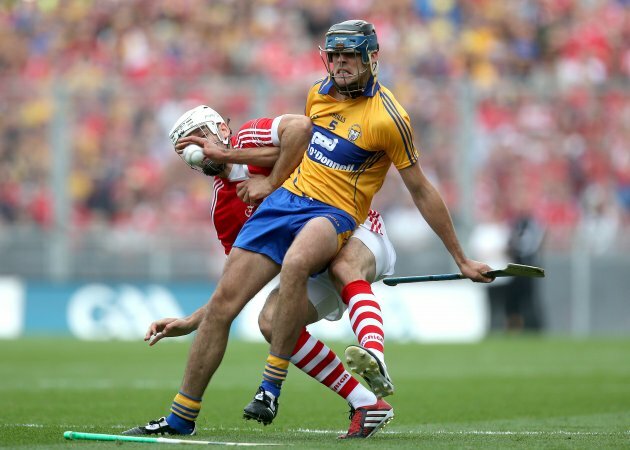 15.41 – Clare 0-4 Cork 0-4: 11 mins – Clare concede another free, this time for a foul on Seamus Harnedy. Again Horgan proves accurate. 15.43 – Clare 0-5 Cork 0-4: 13 mins – Colin Ryan points a free for Clare. 15.45 – Darach Honan currently down receiving treatment after being challenged off the ball. 15.46 – Yellow cards for Honan and Shane O’Neill is the decision of Brian Gavin. 15.47 – Goal chance for Cork as Daniel Kearney breaks clear but his low shot is stopped on the line by Clare’s Patrick Kelly. 15.48 – Cork win a 20-yard free and bring Anthony Nash upfield but his goal bound effort is stopped by Patrick Kelly of Clare. 15.48 – Clare 0-6 Cork 0-4: 18 mins – Then Clare point through Paraic Collins. 15.49 – Conor McGrath with a point chance for Clare but he is off target. 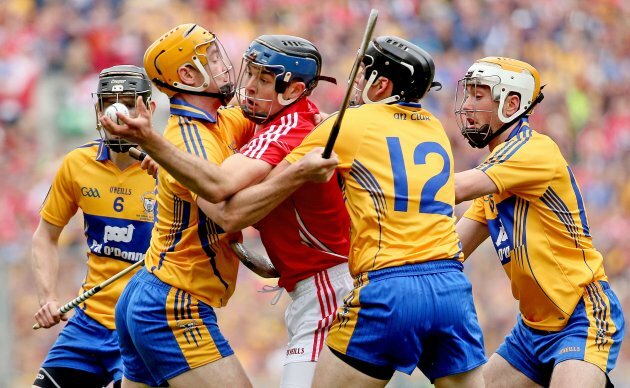 15.51 – Clare 0-7 Cork 0-4: 21 mins – Collins is fouled by William Egan and Colin Ryan smacks over the free for Clare. 15.52 – Clare 0-8 Cork 0-4: 22 mins – Great interplay by the Clare forwards sees Podge Collins play in club mate Conor McGrath and he stylishly points. 15.52 – Clare definitely getting on top now. Their half-back line, particularly Conor Ryan, looks really strong. 15.53 – Clare 0-8 Cork 0-5: 23 mins – Cork claw a pint back through a Horgan free after William Egan was fouled. 15.54 – Goal chance for Clare but Anthony Nash is equal to Darach Honan’s ground shot. 15.55 – Clare 0-9 Cork 0-5: 25 mins – Colin Ryan has been really impressive with his free taking for Clare and he converts another there. 15.57 – Clare 0-9 Cork 0-6: 27 mins – Patrick Horgan converts a free for Cork after David McInerney was blown up for over-carrying. 15.58 – Clare 0-10 Cork 0-6: 28 mins – Quick thinking by Colin Ryan from a sideline creates the chance for Paraic Collins to point. 16.00 – Clare 0-11 Cork 0-6: 30 mins – Colin Ryan on the mark from a free after Brendan Bugler was fouled. 16.01 – Clare 0-11 Cork 0-7: 31 mins – Battle of the free takers so far. Patrick Horgan rifles over another for Cork. 16.01 – Just the one point from play for Cork in this half and that was by Seamus Harnedy. Everything else has come from Horgan’s free taking. 16.02 – Clare 0-11 Cork 0-8: 32 mins – Seamus Harnedy works hard to win the ball and offloads to Daniel Kearney who fires over a neat point. 16.03 – Clare 0-12 Cork 0-8: 33 mins – Clare hit back quickly through a Tony Kelly point. 16.03 – Clare 0-12 Cork 0-9: 33 mins – Good play by Lorcan McLoughlin and Patrick Horgan paves the way for Brian Murphy to point for Cork. 16.05 – Cork just hanging in there despite Clare’s dominance. Refereeing decisions have favored Cork so far it seems. 16.06 – Clare 0-12 Cork 0-10: 36 mins – Long range point by Patrick Horgan but amazing stick work by Conor O’Sullivan to offload the ball to him. 16.07 – Half-Time: Clare 0-12 Cork 0-10: And that’s how it stands at the break with Clare ahead by two points. 16.20 – 81,651 is the attendance here today in Croke Park. 16.24 – We’re getting set for the second-half. Stephen Moylan on for Cork instead of Jamie Coughlan. 16.25 – Clare 0-13 Cork 0-10: 36 mins – Quick point for Clare through Tony Kelly. 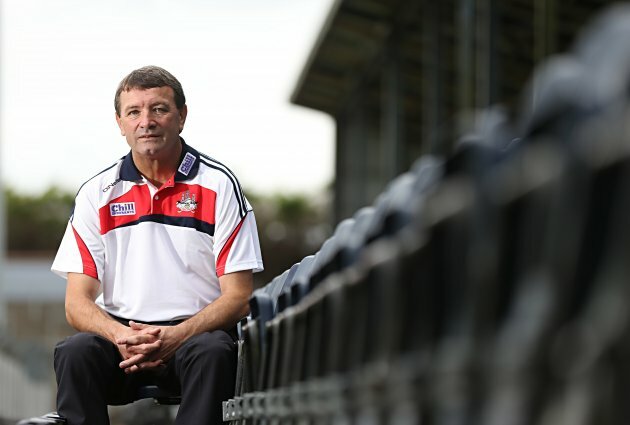 16.31 – Cian McCarthy replaces Lorcan McLoughlin on the Cork team. 16.26 – Clare 0-14 Cork 0-10: 37 mins – And Colin Ryan flights over another free for Clare. 16.28 – Cork slow to settle in the second-half so far. 16.29 – Goal for Cork! 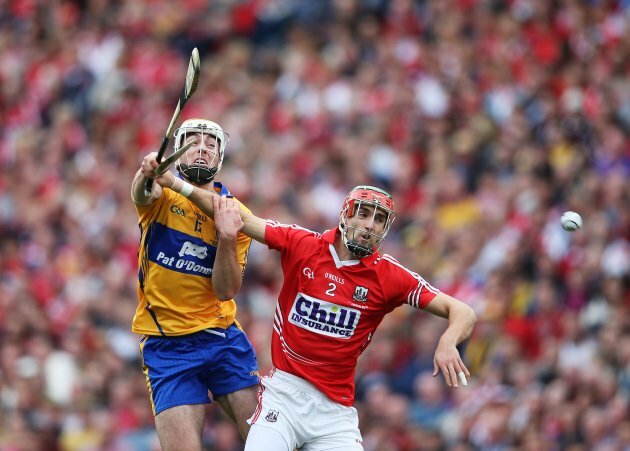 16.29 – Clare 0-14 Cork 1-10: 40 mins – Magnificent individual goal by Conor Lehane! He surged through the defence and finished in style. Big boost for Cork. 16.31 – Clare 0-15 Cork 1-10: 42 mins – Conor McGrath is fouled and Colin Ryan fires over the free. 16.32 – Clare 0-15 Cork 1-11: 43 mins – Patrick Horgan rifles over the resultant free. 16.31 – And McCarthy wins a free with his first touch of the ball. 16.33 – Clare 0-16 Cork 1-11: 44 mins – That is outrageous. Podge Collins swivels and hits a ridiculously good point from the Cusack Stand side. 16.34 – Colin Ryan hits a free wide for the first time today. 16.34 – Clare 0-16 Cork 1-12: 45 mins – Cork hit back with a classy point from Daniel Kearney into Hill 16. 16.36 – And Ryan is off target again for Clare. This latest free looked a straightforward chance. 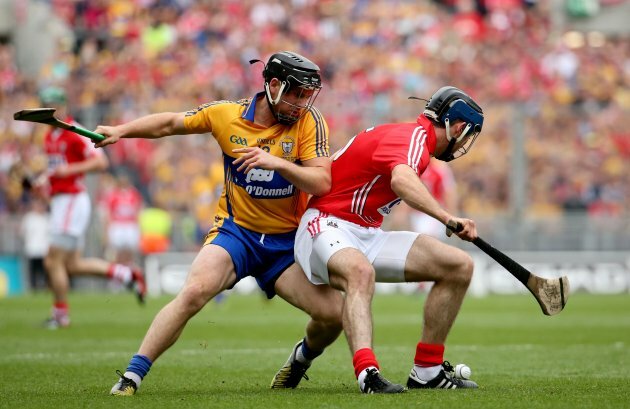 16.38 – Clare 0-17 Cork 1-12: 48 mins – Conor McGrath points after great play by Patrick Donnellan for Clare. Heroic work by Conor O’Sullivan before that to twice deny Clare a goal. 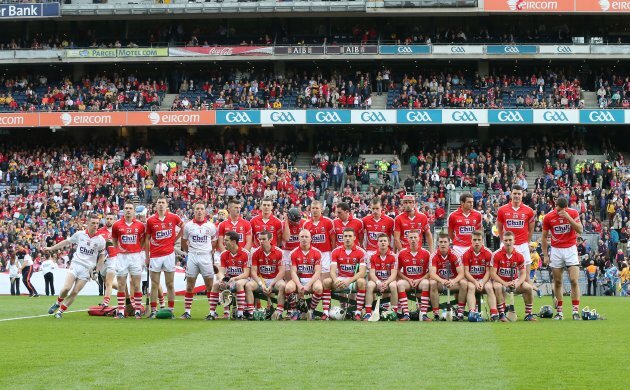 16.39 – Change on the Cork team with Cathal Naughton coming in for Cian McCarthy. 16.39 – That looks like a sub for an injury. 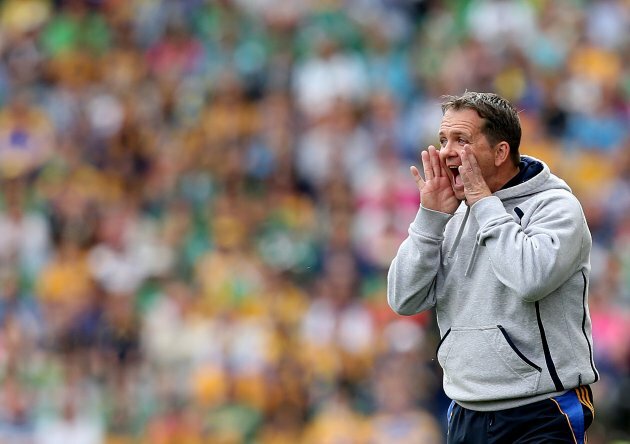 16.39 – Clare 0-18 Cork 1-12: 50 mins – John Conlon points for Clare. They’re getting on top once more. 16.40 – Clare 0-19 Cork 1-12: 52 mins – Colin Ryan extends Clare’s lead with a point from distance from a free. 16.41 – Clare 0-19 Cork 1-13: 52 mins – Seamus Harnedy responds with a point for Cork. 16.42 – Clare 0-20 Cork 1-13: 53 mins – Colin Ryan on target with a point from play for Clare. 16.43 – Patrick Horgan wide from a free for Cork. It’s not happening for them today so far. Clare firmly on top. 16.43 – Yellow card for Cork’s Conor O’Sullivan. 16.44 – Clare 0-21 Cork 1-13: 55 mins – No such problems at the other end as Colin Ryan taps over a free for Clare. 16.46 – Goal for Cork! 16.46 – Clare 0-21 Cork 2-13: 57 mins – Bullet of a 20 yard free from Anthony Nash to the net after Luke O’Farrell was fouled. 16.46 – Yellow card for Cork’s Cathal Naughton. 16.48 – Penalty for Cork! 16.48 – Anthony Nash fires in a long range free, balls break loose and Seamus Harnedy gathers it before being wrestled to the ground. 16.49 – But the penalty is saved! 16.49 – Brendan Bugler got a touch to divert it onto the crossbar and Clare clear to safety! Huge drama! 16.49 – Ten minutes left. 16.50 – Clare 0-22 Cork 2-13: 61 mins – Colin Ryan points free for Clare. Cathal McInerney replaces Darach Honan. 16.51 – Clare 0-23 Cork 2-13: 62 mins – Inspirational point for Clare from Conor Ryan. 16.51 – Clare 0-23 Cork 2-14: 62 mins – Conor Lehane hits back with a point for Cork. 16.52 – Goal for Cork from Patrick Cronin! 16.53 – Clare 0-23 Cork 3-14: 63 mins – We’re level after Stephen Moylan sets up his captain and Cronin smashes to the net. What a game! 16.53 – Tom Kenny on for William Egan for Cork. 16.53 – Nicky O’Connell and Fergal Lynch on for Clare. Colm Galvin and John Conlon go off. 16.54 – Clare 0-24 Cork 3-14: 65 mins – Clare edge ahead through a Colin Ryan free. 16.55 – Moments before Cronin’s goal, Cathal McInerney’s point attempt hit the bar and Podge Collins saw his effort from the rebound stopped. 16.55 – Clare 0-24 Cork 3-15: 66 mins – Patrick Horgan points a free for Cork. Stephen White on for Daniel Kearney. 16.57 – Tony Kelly wide for Clare. 16.59 – Two minutes of injury time. The teams are still level. 17.00 – Patrick Horgan point for Cork! 17.00 – Cork 3-16 Clare 0-24: 71 mins – Cork lead. 17.02 – Clare point from Domhnall O’Donovan! 17.02 – Full-Time: Cork 3-16 Clare 0-25: That’s it! All over and the teams are level! 17.03 – Incredible stuff. The second year in a row, we’ve had a draw at the end of an All-Ireland hurling final. The replay with be Saturday September 28th. Amazing match. Thanks for joining us.